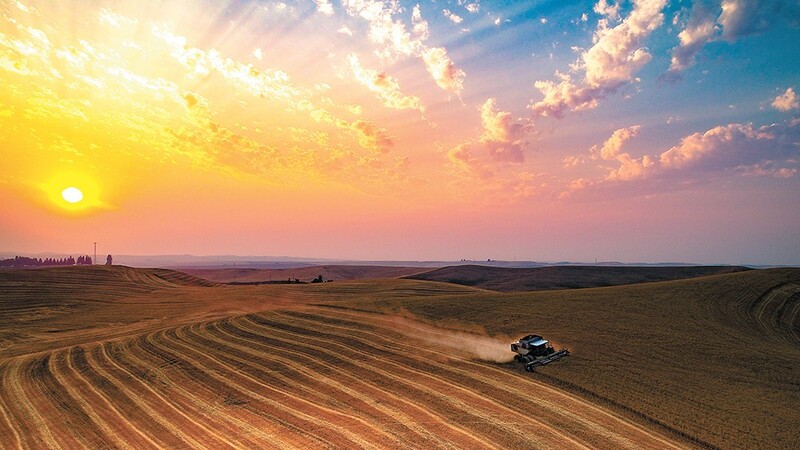 Jared Cocking drives his combine through his Palouse farm. "That evening the skies were smoky from the many fires in the northwest," comments Eric Weitze. Time was, if you wanted a bird's-eye view and there wasn't a skyscraper handy, you had to find someone with a pilot's license, rent a helicopter for hundreds of dollars an hour, then hang out the door, wind blowing in your face and shaking your camera, and try to get a decent shot. A four-shot vertical panorama taken earlier this year. "I've had the idea of the WWP lettering shadows for a while in my head, but just had to plan out the right time of day with good weather," says Myk Crawford. This came with a risk, too. Back in 1985, a KREM-TV helicopter, lifting off to cover the Bloomsday road race, snagged its rotor blade on a guy wire. The crash killed both the TV station's photographer and pilot. But this year, KREM had a different way of getting the overhead view of Bloomsday — an unmanned aerial drone dubbed "Sky 2." KREM wasn't the only one using drones. Local photographer Rob Miller's video footage swoops above the T.J. Meenach Bridge like a scene from Lord of the Rings, showcasing the horde of Bloomsday runners trudging toward Doomsday Hill. 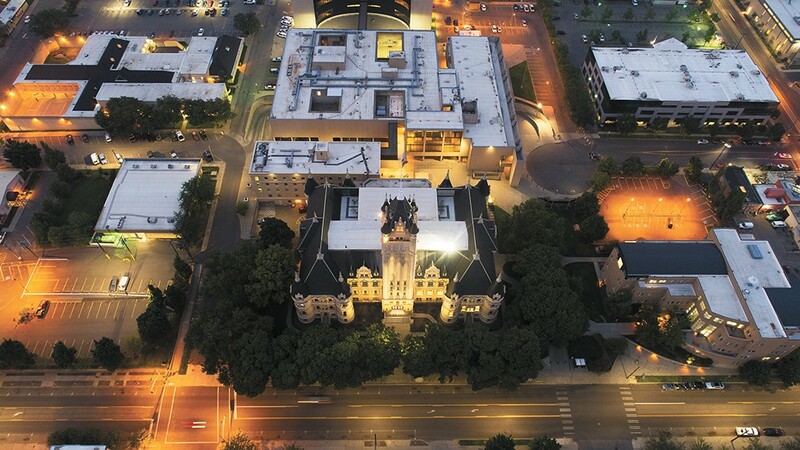 The Spokane County Courthouse and surrounding buildings light up the night sky. Miller's DJI Inspire 1 Pro drone cost only around $2,500. His colleague pilots it with one controller, while he concentrates on aiming the camera. "We were able to move throughout the air and get cinematic scenes, get those movie-style shots," Miller says. Hobbyists have been obsessed with drones for a while, he says, but the past few years have seen drone prices plummet and drones' quality skyrocket. 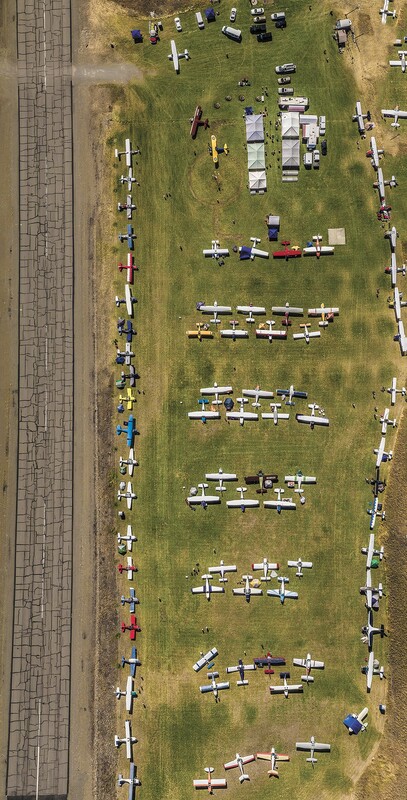 The Wings Over Republic Fly-in is an annual event at the Curlew Lake Airport. "The technology has matured so quickly. All of a sudden, the market is there," Miller says. "It's blown up, following the same trend that cellphones did." What seemed like science fiction a decade ago has become a crucial and comparatively inexpensive part of a photographer's toolkit. To begin with, they're particularly useful for capturing the aftermath of disasters. Drone cameras showed the ash and ruin left behind by the Carlton Complex wildfires in the summer of 2014. They documented the devastation of fallen trees and downed power poles in Spokane's windstorm two years ago. 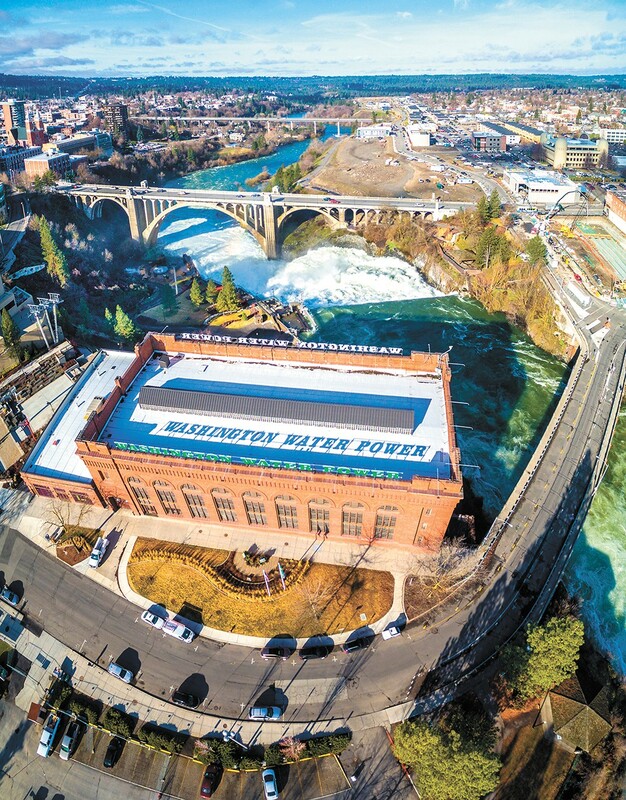 During the flooding this past March, Mike Franklin, owner of Franklin Photography, sent his drone hovering above the Little Spokane River, capturing an eerie landscape of treetops, a footbridge and a gazebo jutting out of the water. 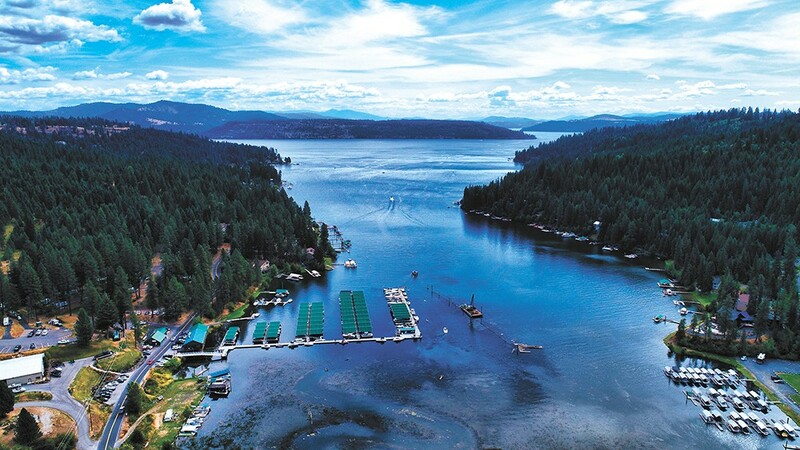 Rockford Bay on Lake Coeur d'Alene. "It is a trip we make almost every summer since I was about 6 years old," Brian Montgomery says. "This lake is very special to us and holds so many memories." For Franklin, the drone has become a new, key element of his wedding photography business. The presence of the Mavic, a sleek little $1,200 drone, in Franklin's office sells itself. "It's a great icebreaker with guys: 'Oh, that's cool! '," Franklin says. "I have it sitting there, and it sparks the conversation." In particular, he'll use the drone for weddings out in the country; it hands him a whole new array of angles and possibilities. "I take the wedding party. I made a heart around the bride and groom and took the aerial shot," he says. 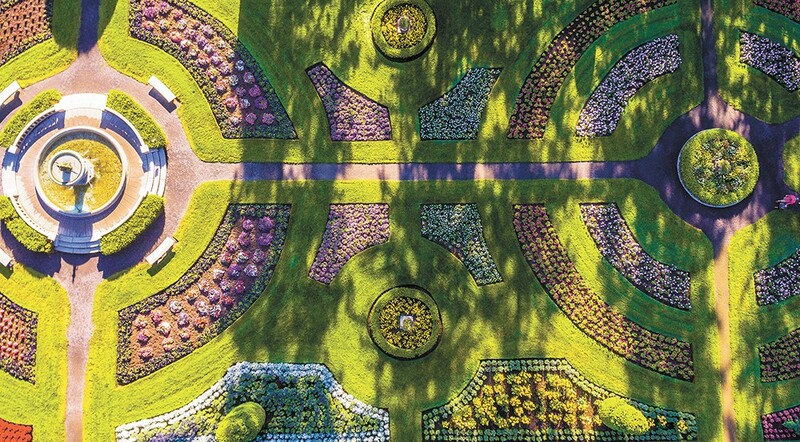 "When you're using a drone, it helps tell a story: A pulled-back perspective." He uses it for his senior portrait business, too. Duncan Garden at Manito Park. "I got up at dawn to try to get some photos before a bunch of people came to the park," Frankie Benka says. "But apparently a lot of joggers and moms get up early too." "I had a high school girl that was really into horses," Franklin says. "It's hard to run and take pictures of someone riding a horse." But a drone? Now that, a drone can do. It locks onto the girl, automatically tailing her as she rides. And all Franklin has to do is sit back and snap photos. Often, the biggest challenge for a drone photographer is navigating the thicket of regulations. While even hobbyists face restrictions on their drone usage — like not flying during night, near airports, or above 400 feet — professional drone photographers have, since last year, had to pay a $150 fee and pass a lengthy test to become licensed. Even then, photographing in many airspaces requires getting Federal Aviation Administration approval — a process that can take months. 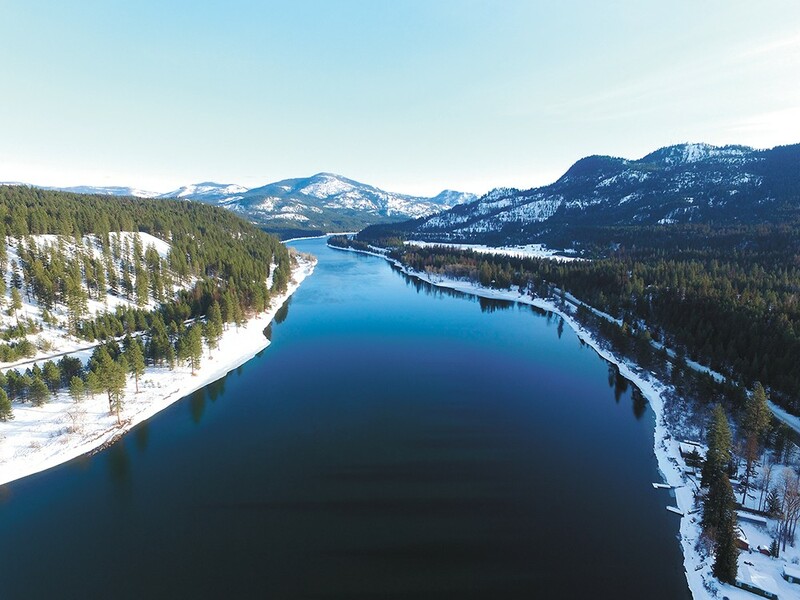 The Pend Oreille River between Ione and Cusick off Highway 20. For real estate photographers in particular, the hassle is worth it. It's one thing seeing a luxurious lakeside cabin in Coeur d'Alene from the ground. But it's another to shoot it from the water, or film video gliding from hundreds of feet above. "I'm always looking for new ways to make it interesting and fun," Miller says. "I do low-altitude stuff. ... I'll fly down in the yard at eye level." Lightning strikes north of Spokane during sunset. "It's certainly hard to get lightning shots, but even harder to do it with a drone due to all the weather implications," says Brendan Dowling. The drones' gyroscopic stabilizers allow him to give potential buyers a smooth, first-person video tour of a property without the shaking or bobbing that would come from a handheld camera. That's not to say there aren't downsides to the drone's rising popularity for professional photographers. 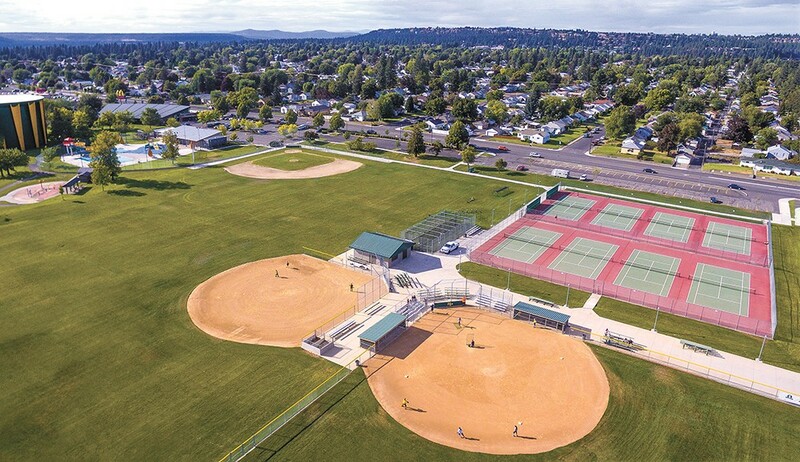 The view of Shadle Park looking northwest from Shadle Park High School. "At the last three weddings [I photographed], there were drones, and they weren't even mine," Franklin says. "They were family members'."